So many ongoing projects. One side project is plagurizing my website and creating an actual book for writers on Military Science Fiction. Already it is 92,000 words long and has several sections I still have not written. There are also two more books on the drawing board in various states of completion I plan to have in the serious. 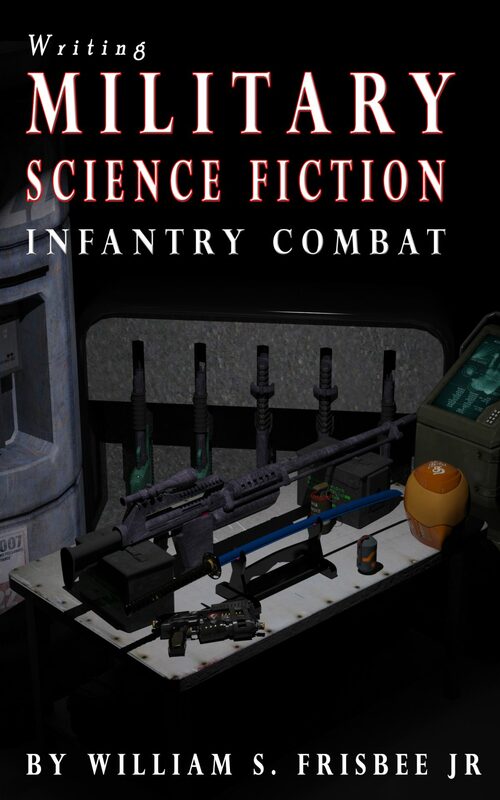 Infantry combat will incorporate lots of info from my website, along with more psychological, physiological information, a more detailed list of weapons, munitions, cybernetic modifications, biological modifications, battle armor components, space born assault, infantry tactics, etc. LOTS of stuff. The first is simply Infantry Combat and takes away a lot from my website www.military-sf.com along with a lot of new material and research. The second will be Space Combat which will have numerous details and information on ship building, physics, space borne operations, sensors, etc. The third book will be vehicular combat, from tanks, to mechs, to fighter squadrons. I plan on using some sections from the first book in the other two in order to make each book a stand alone, with information on Strategy VS Operational VS tactical levels, designing militaries, etc, with each section customized for the specific book. The website is also taking up some time and I have to update my other website http://theairsoftbible.com. For whatever reason my databases got corrupted and caused me to lose ALL my site settings, blogs, comments, etc. While using the ‘way-back’ machine has allowed me to capture some of it, there is a lot of work to be done and work is going to be keeping me busy between exams and all the travel. So very much to do. I think I need another vacation.